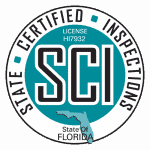 State Certified Inspections LLC a Licensed & Insured Home Inspection Service that offers Residential, Commercial and Certified Insurance Inspections. When buying, selling or looking for a discounted insurance premium, you need someone with experience; you need a License Home Inspector who knows the structure of a home and can give you a professional honest inspection to help protect your investment including your family safety. We are that someone with your best interest in mind and thats why we invested in a high quality Drone for unaccessible roofs such as Tile, Steep or Multi Story Buildings. State Certified Inspections LLC one of the fastest growing premier Inspection companies in the Tampa Metropolitan area, We do complete home inspections starting at $355.00 including Wind Mitigation and Four Point Inspections depending on type and size of home. We will provide you with an easy to read written report with pictures concentrating on the major items that could be a costly expense to you and strive to get that report back to you within a 24 hour period. 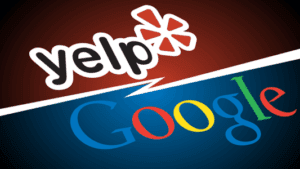 Discover what so many of our satisfied customers have already discovered. A Home Inspection Service committed to Client Satisfaction and Willingness to put our reputation on the line to prove it. Let us not only supply you with a Comprehensive Inspection reports but help save you time and money. Typically a home is the largest investment you will make in your lifetime. Many defects in a home aren’t easily visible and could cost you thousands. A Comprehensive Home Inspection uncovers issues with a property before you buy, giving you the information you need to make an informed decision. We check for hundreds of potential issues, which is why we’re trusted by home buyers and real estate agents alike. And when it comes to buying in Florida, it’s also important to make sure your future home is going to be safe & insurable at the lowest cost. * We are the single source for all your home inspection needs. 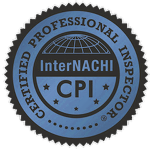 Our inspections exceed Nationally Accepted Standards of Practice. * Promptness, experience, professionalism and honesty are the cornerstones of our business, Reports are easy to understand and are emailed to the client within 24 hours of the inspection, many times sooner. * We are dedicated to are clients providing complete, accurate inspection services only. We do not perform corrective measures, We simply deliver fast unbiased inspection results at affordable rates.